Great stay. Clean, friendly all bilingual staff. Breakfast was delicious and lots of options. Where to find Managua hotels near an airport? Where can I find hotels in Managua that are near tourist attractions? There are multiple accommodation options for those who are searching for an affordable or upscale room in or near Managua. Expedia lists 62 lodging options that are within a 0.1-kilometre (0.06-mile) radius of central Managua. Visitors hoping to find Expedia-listed hotels and accommodations not far from the center of Managua, can choose from the Crowne Plaza Managua and Hotel Mansion Teodolinda. Granada is another Managua area that has hotels. Another options is to research San Diego and also Calle la Calzada. 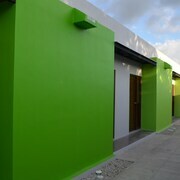 In Granada, the section of hotels include the Jicaro Island Ecolodge and Hotel Xalteva. Alternatively, if you base yourself in San Diego, you can make a selection between the Vida del Mar Beach and Golf Resort and Gran Pacifica's Vida del Mar. The Calle la Calzada area, 45 kilometres (27 miles) from the center of Managua, offers the Hotel Casa San Martin and Hotel Boutique La Cigale. If you are on a budget and are simply looking for cheaper Managua hotels or apartments, there are economy places to choose from in the area. 45 kilometres (27 miles) from Managua's heart is where you'll find the Hotel Granada. 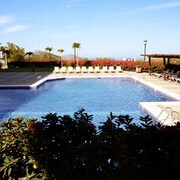 The Hotel Casa del Consulado is only 40 kilometres (26 miles) away. Two more budget-aware options in Managua include the Hotel Alhambra and the Mansión de Chocolate. 2 kilometres (1 mile) away from the middle of Managua, is the Real InterContinental Managua at Metrocentro Mall. The Hotel Seminole is located 3 kilometres (2 miles) away. 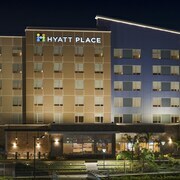 Some other hotel options include the Hilton Princess Managua and the Hotel Contempo. Should you have the time, you should discover the other cultural and scenic and cultural delights of Western Nicaragua. Western Nicaragua offers beaches and coastal plains. Popular Western Nicaragua tourist draws include old towns. Common activities in this part of Nicaragua include mountain climbing and hiking. 75 kilometres (46 miles) to the northwest of Managua is Montelimar, where travelers can enjoy the Cathedral of Leon. 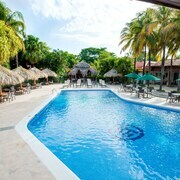 Leon Expedia-listed lodgings include the Best Western Las Mercedes Leon and Central Lodge. You can also visit Montelimar, where you'll find the Montelimar Beach. Montelimar is located 45 kilometres (28 miles) to the southwest of Managua. The Hotel Vistamar and Barceló Montelimar - All Inclusive are great places to stay in Montelimar. If you are planning on arriving or departing through Augusto C. Sandino International Airport, you may find it convenient to book some accommodation at Best Western Las Mercedes, or Hotel Camino Real Managua, both of which are a short taxi ride away. 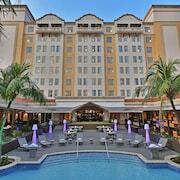 What are the most popular Managua hotels? Are there hotels in other cities near Managua? 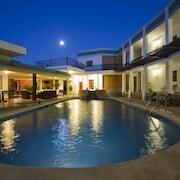 What other types of accommodations are available in Managua? Explore Managua with Expedia.ca’s Travel Guides to find the best flights, cars, holiday packages and more!